Some people are lucky when it comes to careers, they pick something they enjoy and somewhere down the line, they realise it’s what they were born to. For Lain Satrustegui, Partner Architect at IMO Creations he followed in his father’s footsteps but eventually found his own destiny. 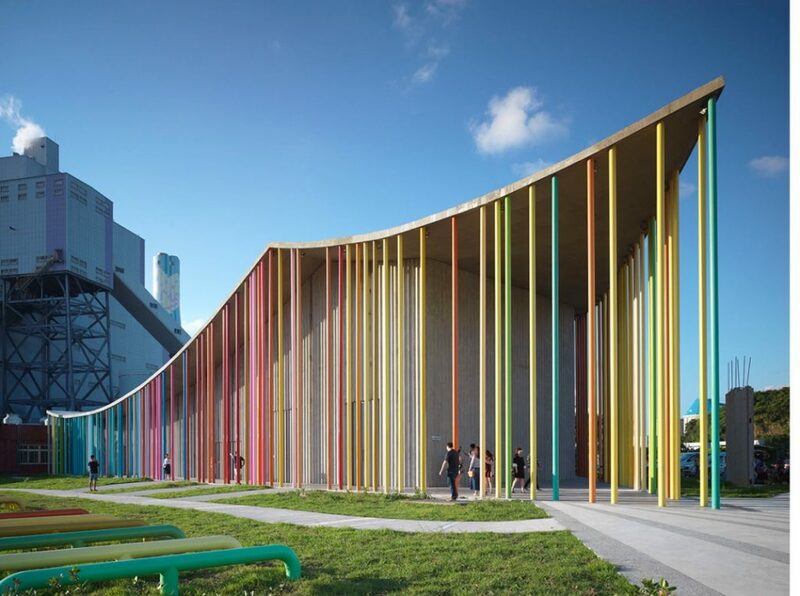 The Spanish architect studied all over Europe; Spain, Denmark, England before relocating to Taiwan in 2009. Here along with his position at IMO he also taught at Tunghai University and Tamkang University. 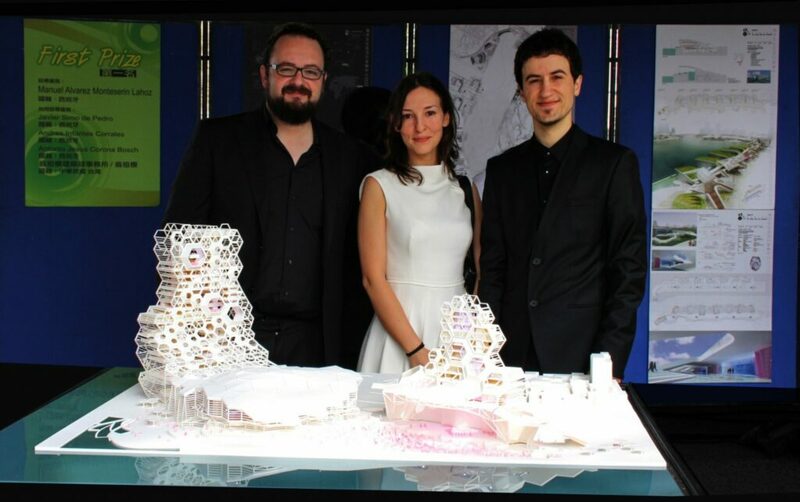 Since this article first appeared on the site, Lain Satrustegui has gone on to win the Golden Pin Design Award in the category of Spatial Design for his work on the Xiafu Activity Center. 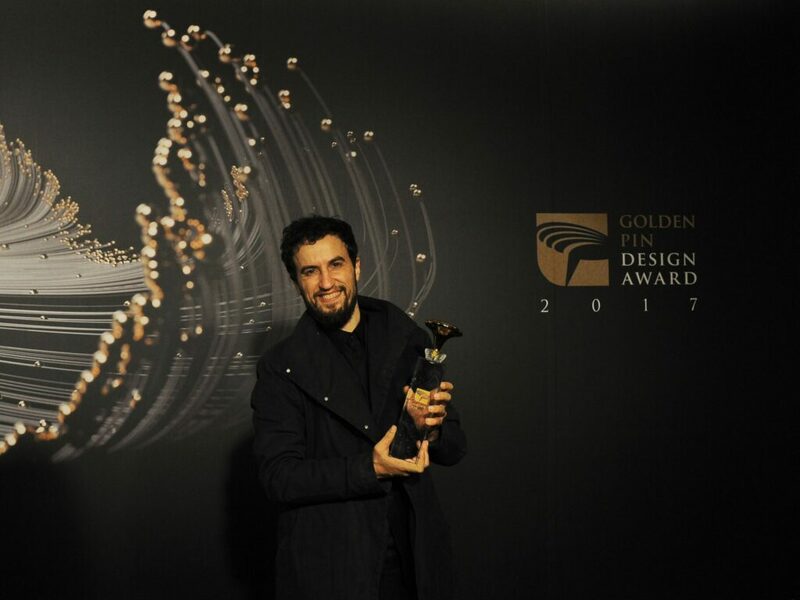 All of us here at Design Pataki send Lain and his team the heartiest congratulations for a well-deserved win. It was after he moved to Taiwan that he discovered the concepts of Feng Shui and started incorporating them in his designs. Today he designs spaces that will people happy.His project, Xiafu Activity Center (pictured above) received a 2017 Design Mark in the Spatial design category. It is a community activity center for Xiafu temple and its vibrant exterior is modeled on the colors of the temple itself. DP: How did you first discover your passion for architecture and design? Lain Satrustegui: When I was child, I used to watch my father for hours when he was doing interior design drawings. However, when I was growing up, I realized that interior design tends to have a limited life and is very conditioned by the buildings in which it operates. If the building is poorly designed, the interior design has many limitations when it comes to correcting those deficiencies. Architecture, however, lasts much longer in time and has a more holistic vision. The scales in which it operates vary from regional planning, through the design of public space —like a plaza, a park or a market—, the design of buildings, to a smaller scale ones such as the design of a bathroom in a house. The tools available in architecture to make a positive impact in society are greater and it determined my interest in architecture. DP: How would you describe your design style? LS: We believe that the creations we make have to inspire people. For this, the style is not so important but the way in which we produce architecture. Until the twentieth century, there was a very widespread way of operating where the head of the studio thought about the idea of a project and the rest of the architects that were under him had to develop his idea. It was a hierarchical production. In IMO however, we believe that no matter how bright we are, we will not always have the best ideas. Therefore, we have developed a work system in which we value more ideas than the role that people have in the office. It does not matter if an idea comes from an architect with 20 years of experience or a recently graduated intern, what it matters is how to be able to do an extraordinary project. To achieve this, it is important the existence of a debate that enriches the projects and that is capable of inspiring the people who will use it —and extensively is able to contribute positively to society. DP: Which has been your favorite project so far and why? LS: All projects have something special, subtle, magical, characteristic, particular and non-transferable. Architecture has the power to affect the behavior of people, how we relate, the things we do; it is capable of awakening in us the amazement, the calmness, the illusion; affects our performance at work, the family relationships, how we have fun, how we relate to nature… Each project, be it because of the environment, the people who use it, the culture in which it is inserted, dimensions, etc. acquires very particular characteristics. In other words, projects such as a Yoga Ashram in Spain, a Cultural Tower in Taiwan, or the design of a scenography for TEDx have unique and complementary ways of operating in people and their cultures. More than thinking that there are some projects that have more magic than others, we prefer to keep the special notes of all of them as well as the experiences they are able to offer to the people who enjoy them. DP: How do you incorporate elements of Feng Shui with modern design aesthetics? LS: When I studied Feng Shui I realized that more important than following the rules of different schools or Masters, it was to develop a sensibility of the feeling of the space. Spaces that make us feel good have good Feng Shui. Therefore, to try to replicate spatial conditions that makes us feel that way is what is essential in our design. DP: What are your thoughts about the evolution of spatial design and its potential for the future? LS: The architecture and design of space are linked to societies, cultures and their economic conditions. While in the past centuries its development was quite predictable, in the 21st century this has changed. If someone studied medicine before, it was highly probable that he would practice as a doctor, he would have a determined salary, he would get married, he would have children and he would enjoy a retirement accompanied by his relatives. Nowadays, however, 70% of the jobs that will exist in 20 years do not yet exist; some couples get married, others do not; some decide to have children, others do not; the ways of aging are changing and technology is advancing at a prodigious pace: it is changing how we relate to each other and it is generating profound social and cultural changes. Changes in family, work and interpersonal relationships are the fundamental axes that spur change in the design of spaces. It is an uncertain future, vibrant and full of opportunities where the contemporary creator can unfold his/her imagination. Faced with this uncertainty, we believe in an architecture and a design that is not satisfied with solving the problems that these changes produce in the users, clients, developers, governments, communities, etc. but that it is capable of inspiring them to work together to create a better and more beautiful environment than the one that it was transmitted to us.